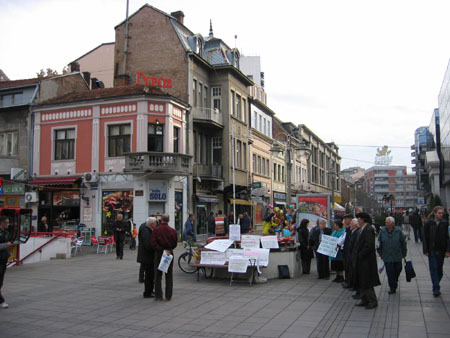 Nis is the third largest city in Serbia. There are more than 250.000 people living in this city but it gave me a quiet impression. The river Nisava is floating through Nis. 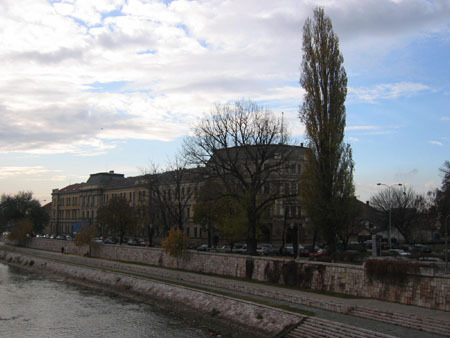 This city is the administrative capital of the district which is named after the river Nisava. 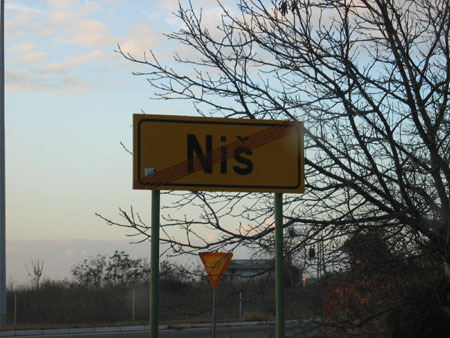 Nis is, like Novi Sad, an university city. With 13 faculties and almost 30.000 students it is one of the most important universities in Serbia. The good thing about a city with an university is the night live. 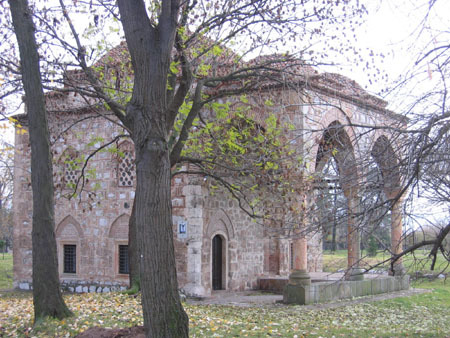 Entertainment, cultural activities as well as festivals are organised frequently in Nis. 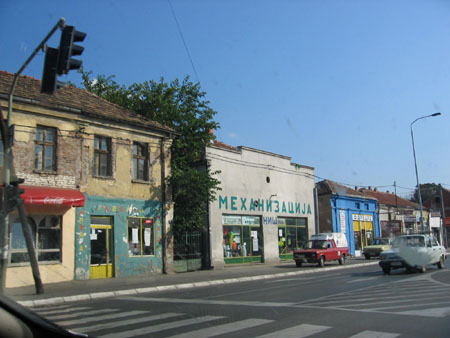 The city also plays an important role in the Serbian industry sector. 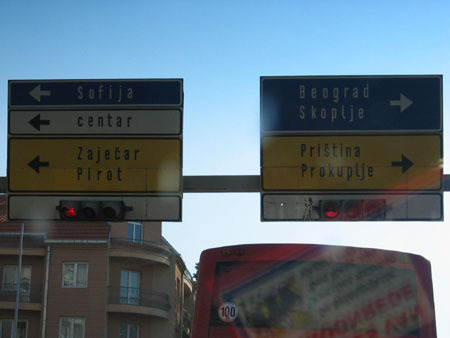 If you are travelling through Serbia it is likely you will pass Nis because the main highway in Serbia is the Belgrade - Nis higway. 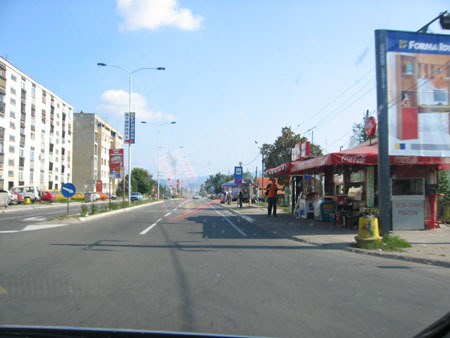 Everyone travelling to Macedonia, Greece, Bulgaria will normally pass the city. 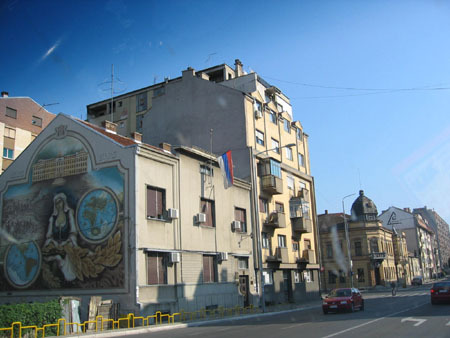 If you have some time to spend, I guess it is worth to stop and explore this typical Serbian city. On my way to Kosovo I did not had time to stop, this explains the strange spots in the pictures. Next time I will clean the windscreen and I promise to make better pictures. update 02/12/06, as promised more pictures. This time we got out of the car. The first five pictures you see are the latest pictures we made when we visited Nis in November. 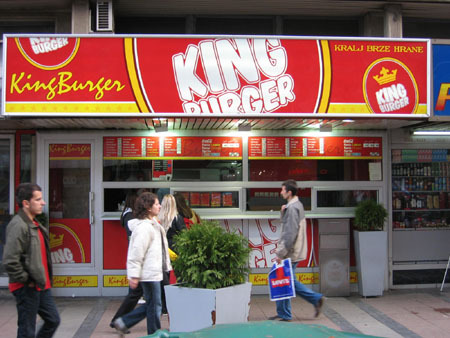 Especially the King Burger is funny, a future competitor of Burger King? Nice to know that it all started in Nis.